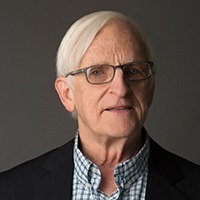 Matthew Fox, who holds a doctorate in the history and theology of spiritualities from the Institut catholique de Paris, is author of 35 books on spirituality and culture that have been translated into 69 languages and received many awards. 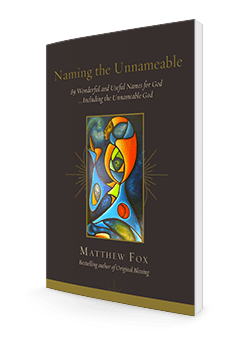 Since learning of the Creation Spirituality tradition from his mentor in Paris, French historian Pere M. D. Chenu, Fox has dedicated his life to recovering that lineage and bringing it alive. Accordingly he founded graduate programs in Culture and Creation Spirituality at colleges in Chicago and then Oakland and developed a cutting edge educational pedagogy that includes artists, scientists, mystics of all traditions and activists to teach spirituality that includes intellect and intuition, body, heart and mind. Since Creation Spirituality is both a mystical and a prophetic tradition, Fox’s support of women and gay rights, of the environment and social, racial and gender justice and of liberation theology disturbed naysayers in the Vatican which silenced him for a year and then pressured the Dominican Order, in which he was a member for 34 years, to dismiss him. Subsequently he founded the University of Creation Spiritualty (UCS) in Oakland California and became an Episcopal priest to work with young people to create a post-modern worship form called the Cosmic Mass which incorporates dance, dj, vj, rap and other postmodern art forms. Most recently he has launched, along with a 28 year old and a 33 year old leader, an Order of the Sacred Earth which is a spiritual (not religious) order open to people of all traditions and none who feel called to focus their commitment to save the earth and the people and critters on it with a common vow to be “the best lover and the best defender of Earth that I can be.” A new school called the Fox Institute in Creation Spirituality has recently been launched in Boulder, Colorado by some of the graduates of UCS.